Busy Bees Patchwork: Even More Quilts from Malvern. 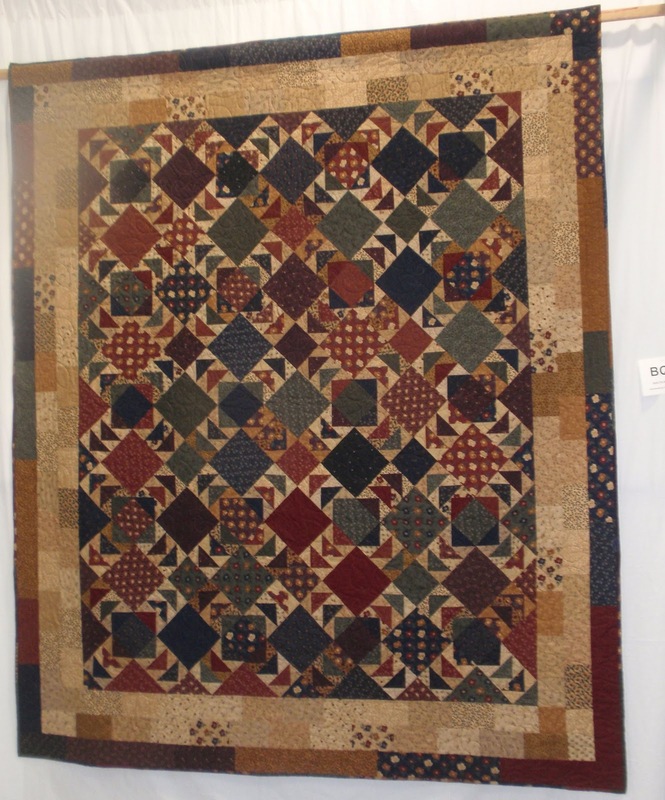 Even More Quilts from Malvern. As promised, here are a few more quilts that customers from Busy Bees exhibited at Quilts UK. 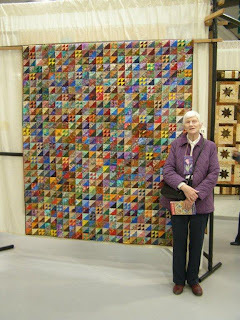 The first is a wall hanging made by Bernadette Chapman. Berni made the hanging at my 'India' course. I think she made a cracking job of it. 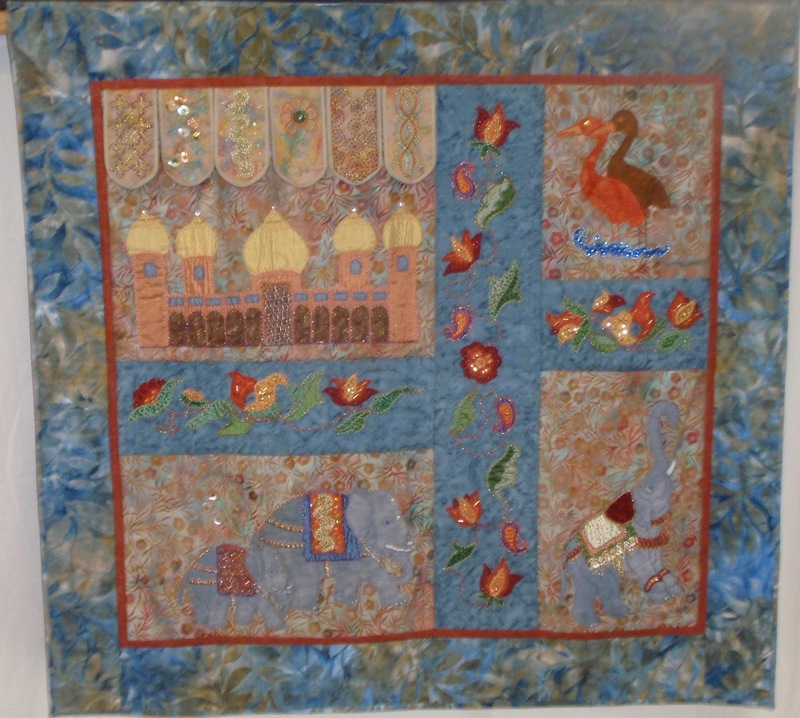 The wall hanging is made with a mixture of machine applique and hand embroidery. I was thrilled to see it looking so good hanging at the show. I really love the next quilt. 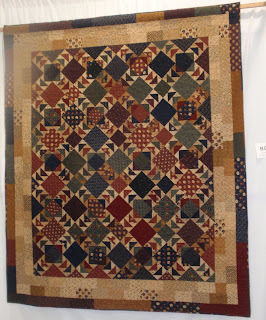 This is the quilt I would have liked to have taken home, from the show. It was made by Janet Jones. Jan has called the quilt Winter Winds. 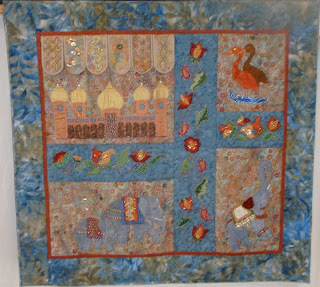 In the show guide Jan says, " This was made from Jackie Taylor's lovely pattern 'Summer Geese', The quilting was beautifully done by Sue Phillips of School House Quilting, as usual, to the pattern of 'Blowing in the Wind'. I had the easy bit of piecing, which I thoroughly enjoyed. It is a snugly winter quilt." I just love the colours Jan has used. A really lovely quilt. Again a really fab quilt. Brenda is a founder member of our Tuesday Girls Group and is really one of the family. I've still got a few more quilts to show off and will try and get them on in the next few days. Labels: Katharine Guerrier, Pattern, School House Quilting.